Drinking a daily cup of tea will surely starve the apothecary… or so an old Chinese proverb goes. And there’s one tea in particular that seems to offer almost unrivalled health benefits – matcha green tea. Matcha green tea has played an integral role in the traditional Japanese tea ceremony for centuries, and matcha green tea powder, the highly concentrated powder made from matcha green tea leaves, is rapidly becoming a sought-after superfood supplement in the West. So, why do so many regard matcha green tea powder as the finest powdered green tea in the world, and what makes it such a salutary sup? Matcha Green Tea Powder – what makes it so special? Matcha green tea powder is made from the nutrient-dense leaves of shade grown Camellia sinensis. The young leaves are steamed, stemmed and then stone ground into an extremely fine powder that’s stored away from light and oxygen in order to protect its verdant colour and ensure an optimal nutrient retention. As a result, organic matcha green tea powder is literally loaded with antioxidants, as well as high levels of readily absorbable dietary fibre, vitamins (A and C), minerals (selenium, chromium, zinc and magnesium), amino acids, and the naturally occurring plant pigment, chlorophyll. Arguably the greatest benefit of organic matcha green tea powder though, is that you ingest the entire leaf, rather than just the steeped water, and thus get to profit from more of its natural goodness. Indeed, many claim that just one cup of organic matcha green tea powder is equivalent to 10 cups of ordinary green tea, in terms of nutritional value. Organic matcha green tea powder has the added advantage of a smooth, grassy, sweet yet subtle flavour, meaning that you needn’t add milk or sugar to make it palatable. And, it’s not only suitable for preparing a delicious and rejuvenating cup of tea; you can also add organic matcha green tea powder to an almost endless variety of (rawfood) dishes and drinks, for both a welcome boost of nutrients and a delightful dash of colour. UK consumer interest in matcha green tea powder has tripled since 2013, thanks largely to its extraordinarily high antioxidant content and its widely reported health benefits. Whilst you’ll find matcha green tea powder in a variety of ready-made drinks, snacks and energy bars, the best way to enjoy it is in its most pure and concentrated form – organic matcha green tea powder. 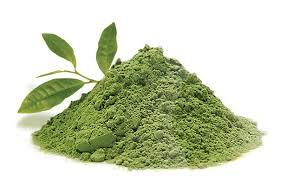 Below are seven compelling health benefits associated with organic matcha green tea powder. As already mentioned, organic matcha green tea powder is brimming with antioxidants – naturally occurring chemical compounds that help to prevent aging and combat chronic disease. It’s perhaps no coincidence that those who live longest reside in Okinawa, Japan, where there’s a correspondingly high consumption of matcha green tea! In fact, organic matcha green tea powder contains more antioxidants than many popular superfoods, including blueberries, goji berries and spinach. Its ORAC rating (oxygen radical absorbance capacity) is a whopping 1300 units per gram – almost twenty times that of blueberries! More importantly, organic matcha green tea powder contains a unique type of antioxidant known as catchins, and in particular, epigallocatechin gallate or ECG, which is known for its special cancer fighting properties. In addition, scientific studies have indicated that matcha might be able to limit attacks by HIV on human T-cells, although further research is still required. On average, one cup of matcha green tea contains around 34mg of caffeine. Although coffee contains more (up to 60mg of caffeine), the effects of caffeine from matcha green tea is much more intense, thus increasing mental alertness for longer. Matcha green tea powder also contains the amino acid, L-Theanine, which stimulates the production of both dopamine and serotonin – two chemicals that demonstrably improve memory and heighten concentration. The combination of caffeine and other ingredients found in organic matcha green tea powder provides a significant boost of energy too. Recent research published by the American Society of Clinical Nutrition reveals that matcha consumption can actually enhance the efficiency of energy use in the human body. Further studies also suggest that it may improve physical endurance by up to 24%, making organic matcha green tea powder an ideal superfood supplement for those that frequent the gym or who enjoy other forms of physical exercise. Virtually caffeine-free and rich in fibre, organic matcha green tea powder is becoming an increasing popular choice for those who are watching their weight. As well as boosting energy expenditure (a clear sign of increased metabolism), matcha also amplifies thermogenesis – the body’s rate of burning calories. Indeed, one study demonstrated that exercising immediately after drinking matcha green tea encouraged the burning of some 25% more fat. And, in animal studies, the ECG in matcha green tea powder was found to significantly reduce both food intake and body weight by suppressing the appetite via the regulation of hormones, such as leptin. As organic matcha green tea powder is shade grown, it tends to boast a higher concentration of chlorophyll than other green teas. Chlorophyll is a natural plant pigment that is believed to help strengthen immunity and rid our blood and tissue of damaging toxins, such as chemicals and heavy metals. A daily cup of matcha green tea thus provides a gentle and extremely effective detox. Although organic matcha green tea powder contains a generous quantity of caffeine (a known stimulant), it also contains the amino acid, L-theanine. L-theanine counteracts the nervous energy caused by caffeine, by triggering a state of relaxed alertness and mental wellbeing. Organic matcha green tea powder contains up to five times more L-theanine than ordinary green tea, perhaps explaining why it has remained such a prized aid to meditation for generations of Japanese Zen Buddhist monks. Furthermore, L-theanine is believed to increase Alpha wave activity in the brain, which in turn helps to relieve stress, yet without the drowsiness associated with anti-depressant medications. Lastly, a 2011 study in the American Journal of Clinical Nutrition seems to suggest that green teas, including matcha green tea, lower both total cholesterol and LDL cholesterol levels. LDL cholesterol is the ‘bad’ cholesterol that’s linked to diets high in trans fats and can lead to atherosclerosis – a build-up of fatty deposits in the artery walls that increases the risk of heart attack and stroke. Matcha green tea powder has so many health benefits. Another great way to increase the comments left for your blog is for you to leave various comments on other people’s blogs. In addition to that, you have to make absolutely sure that you do not abuse the network in any way. By applying the paper to a suitably coated mug, or any other articles, you can then transfer the image to the coating. Hi, thanks for this great article. I started being involved with superfoods about 2 years now, but I’ve never heard about matcha powder, so thanks for the data. 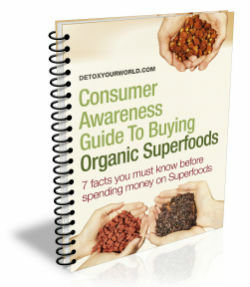 It has nothing to do with peruvian maca root, does it?